Ecuador is simply a great country to visit. It has everything from 20,000' glaciated peaks to the Amazon Jungle, and we will experience both! Why more Americans don't spend time in Ecuador is beyond us. On our two-week trip, we will try to sample as much of this beautiful country as possible. 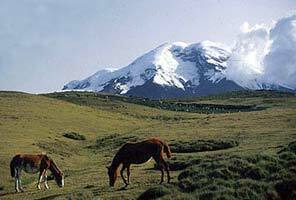 Our two ascents will include Cayambe (18,990') and Cotopaxi (19,347'). 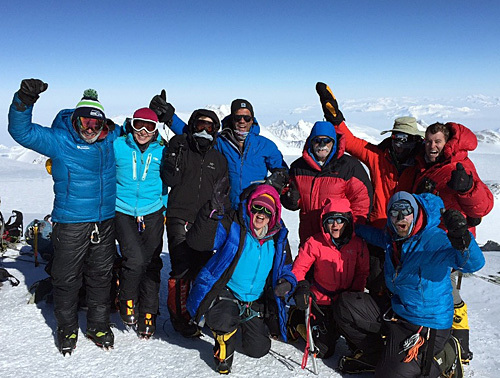 Chimborazo (20,561') is available as a 3-day extension for the interested and capable climber. IMG has been leading expeditions to Ecuador since the early 80's and the contacts and relationships we've built over the years make this program unique. The climbs themselves are only a piece of the total adventure with IMG in Ecuador. 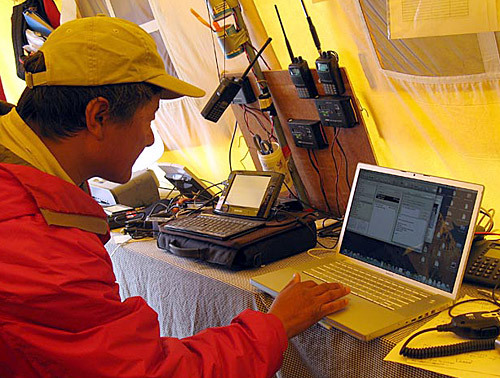 Our contacts and relationships in Ecuador make this program unique. 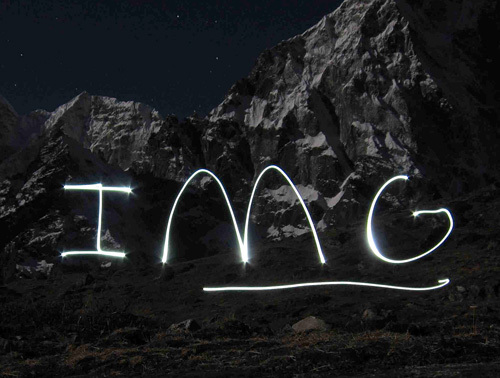 The climbs themselves are only a piece of the total adventure experience with IMG in Ecuador. 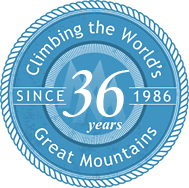 This information should answer many of your initial questions and also guide you through the next stages of preparing for the climb. Should you have any questions, please feel free to contact us at any time. Time is spent in Quito before and after our ascents, exploring cathedrals and markets and sampling local cuisine. We will also visit the famous Indigenous market in Otavalo and spend time with a friend who is a weaver in the town of Peguche. Our acclimatization schedule is interesting and includes two mountains. We hike Fuya Fuya (13,986') and Imbabura (15,190') prior to our Cayambe attempt. Additionally, we do a basic technique review on the slopes of Cayambe and spend two nights at the Oleas-Ruales-Berge Refuge prior to our climb. After our summit attempt we will drive to the jungle town of Papallacta, where we can soak in the hot springs for which this town is famous. Cotopaxi is next, which may just be the most picturesque volcano in the world. 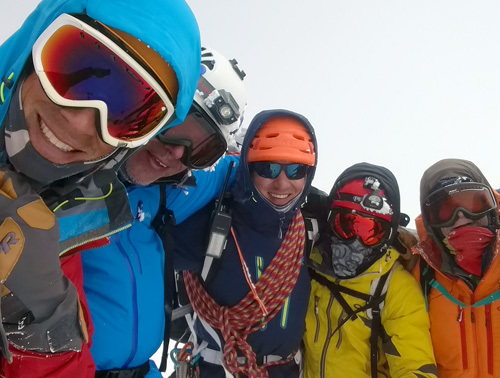 The team will climb from the Jose F. Ribas Refuge located at 15,973'. After climbing Cotopaxi, we spend a night at the hacienda of La Cienega. We wrap up the trip with a traditional home-cooked meal and celebration at our local Ecuadorean guides home as well as a visit with famed Ecuadorian photographer and explorer, Jorge Anhalzer. The itinerary gives us the flexibility to pull an additional day, even two, out of the schedule if needed for weather contingencies. An IMG Senior Guide leads each of these programs. We are joined by some of the finest Ecuadorian guides. Our lead Ecuadorian guide being Romulo Cardenas. We've climbed with Romulo for over three decades. Romulo has over 300 ascents of Cotopaxi, over 100 of Cayambe and over 200 of Chimborazo. Yes, you read that correctly. All our Ecuadorian guides are dear friends, experienced guides and add immeasurably to your Ecuadorian experience. You will see more of Ecuador than you ever imagined. 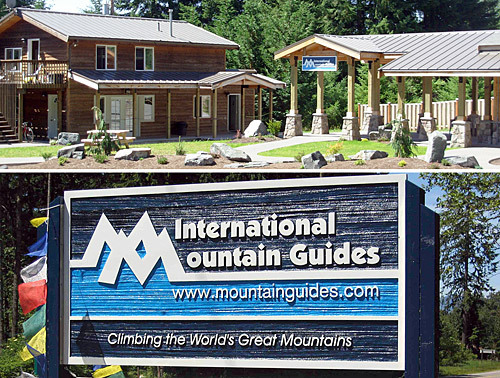 Our goal is to make this trip so much more than just a mountaineering expedition. Prior knowledge of ice ax arrest, cramponing and rope team travel are REQUIRED. Everyone needs to be familiar with these climbing skills. 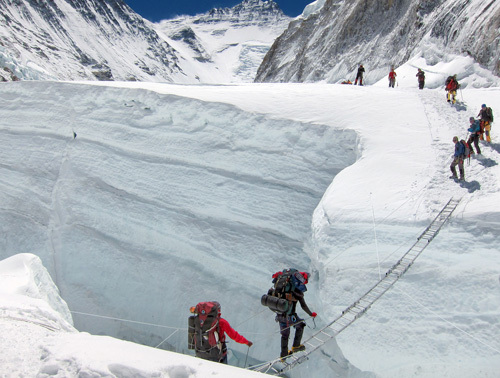 Crevasse problems should be no more difficult than those encountered in climbing Mt. Rainier. The routes are very exciting and much more involved than those on the Mexican volcanoes. You cannot over train for high altitude climbing. You owe it to your team mates to be in excellent condition for the trip. Please see the Ecuador FAQ for more on this.